The Uno Newsletter (in Japanese) started after the 30th Memorial Conference in honour of Kozo Uno: “How to Rejuvenate Uno Theory” held on 1 December 2007 at Musashi University. Twelve issues of the Newsletter were published between December 2007 and April 2010. Selected papers from the Newsletter were published in July 2010 in a book entitled: Current Issues and Contentions of Uno theory: A New Development of Marxian Political Economy, Tokyo Shakai Hyoronsha . The second series of the Uno Newsletter started in June 2010, and 8 issues have been published quarterly. Now we have decided to publish an English edition of the Uno Newsletter once or twice a year. Japan has been an important laboratory for developing and debating ideas about capitalism and its dynamics. On the one hand, Japan has given rise to several distinct strands of Marxian political economy. Foremost among them is the Uno School. 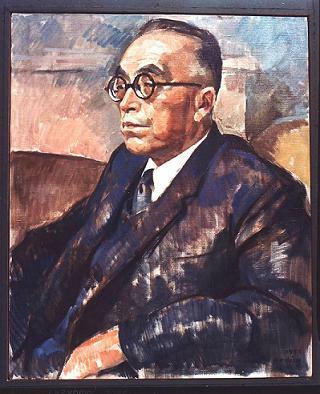 The Japanese political economist Kozo Uno (1897-1977) developed an approach to understanding capitalism (and appropriating Marx’s ideas) that contains three levels of analysis: the general theory of capitalism; the stages of capitalist development; and detailed studies of particular countries and time-periods, or, in other words, historical analysis.This differentiation permits analysts to conceptualize and debate, separately, the economic dynamics of unadulterated capitalism, the structural and behavioral modifications that arise because of the imposition of stage-specific defining rules that pertain to one or more capitalist economies for a period of time (that is, because of the creation or destruction of ‘regimes’ or ‘phases’ of capitalist accumulation), and the specific institutional characteristics of given economies at particular points in time. On the other hand, many political economists in Japan have chosen to work with diverse approaches to political economy – the French Regulation school, the Cambridge Keynesian models, Institutionalist and Historical schools, and so on. In the open spirit of Japanese political economy, contributions in the Uno Newsletter draw on diverse intellectual traditions. The focus of The Uno Newsletter includes the basic theory of capitalism, such as: the theories of value, money, capital accumulation, business cycle, and labour process; the integration with Uno theory of heterodox economics, such as: Post Keynesian, Institutional, Evolutionary, and Neo-Schumpeterian economics; the stage theory of capitalism such as: Uno’s stage theory, the evolution of the capitalist world system, and intermediate theory; and finally the empirical analysis of capitalism, such as: the development of Japan, China, and East Asia, or the financialization, globalization, and crises that tend to have global ramifications.